Buy and Download > Description This is the song "I've Got A River of Life" done in a "new swing" style and arranged as an SAT vocals feature, Horn parts include 2 alto saxes 1 tenor sax 1 baritone sax 3 trumpets 3 trombones Piano/Rhythm and lead sheet with chords for rhythm section. This has a “new swing feel” that does allow for soloists to cut loose! There is an big band 544 instrumental only version also available here on this web site. HR1476. 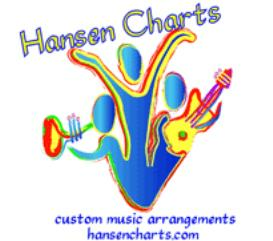 Be sure to check out the provided Audio Sample of the chart and the Sample Score to down load.